Toward continuing its commitment to empower individuals and organisations to achieve more, technology giant, Microsoft through its Citizenship Program has struck a strategic partnership with leading Nigerian footwear and leather products manufacturing company, Shoespeed and Italian Shoemaker, Scali Shoes to empower 100, 000 Nigerian youths with shoe making skills. the initiative which is designed to help mitigate the country’s unemployment challenge would provide youths with the skills required to unleash their entrepreneurial capacities, thus helping to create jobs for the local economy and lifting many out of poverty. 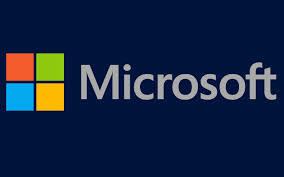 The leading technology company will upload a Shoe Making Video produced by Microsoft and Shoespeed on Microsoft Aiki portal for a month, where viewers will be trained on how to make shoes. Viewers would be required to make a prototype of the shoe to be able to participate in the campaign. The winners will then be trained by the shoe making experts.